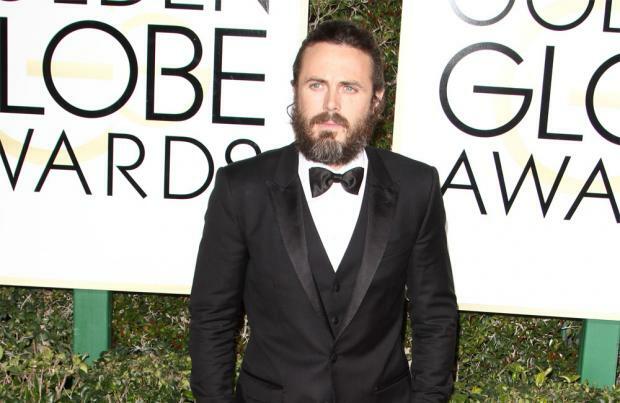 Casey Affleck got the part in 'Manchester by the Sea' because Matt Damon turned it down. The 41-year-old actor - who is nominated for Best Performance by an Actor in a Leading Role at the Oscars for his part in the drama film - nearly lost out on the role to the 'Jason Bourne' star. Speaking on ABC's Popcorn with Peter Travers, Ben Affleck revealed: "Our production company [Pearl Street Films] has a credit on 'Manchester by the Sea' along with a lot of other people but that's one of the ways that Matt originally developed that movie, looking to develop his own material. "These production companies that actors have are ... because they feel they aren't getting enough good scripts, finding all the good books or the good stories. They want to chase down the good writers and in the case of 'Manchester by the Sea' to write the whole movie. Casey got the job because Matt didn't do it." Meanwhile, Ben - who has Violet, 11, Seraphina, eight, and Samuel, four, with his wife Jennifer Garner - previously admitted he was "more nervous" for his brother Casey at the Golden Globes, when he picked up the Best Performance by an Actor in a Motion Picture - Drama at the event. He said: "I was more nervous for him than I ever have been for myself. My kids stayed up to watch it. "I went home today and I asked my four-year-old, 'Sam, did you see Uncle Casey up there? Did you see what happened?' And he said, 'The man said Casey Affleck!'" And Ben is incredibly thankful for his friendship with Matt Damon, who he has known since childhood. He said: "I can't tell you how valuable it is to have somebody who's been through things with you, ups and downs, who knows what your life experience is like, who can identify with that. "It's an incredibly valuable friendship and it's very precious and so is my friendship with my brother. I don't know what I would do without those guys."